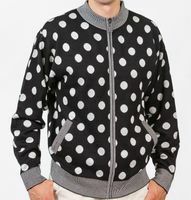 Here at ContempoSuits.com you will find the latest fancy style mens fashion sweaters that you just won't find in other stores because fancy style fashion is what we specialize in. 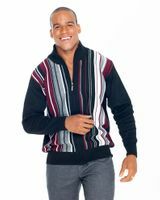 You can find mens sweaters with all kinds of fashion forward fancy designs that are made to get you noticed in a good way. 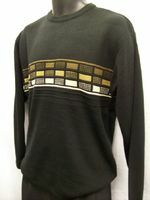 Featuring brand names from Silversilk and Royal Prestige, these fancy styles are not only are eye catching but are well made of dense knitting yarn. 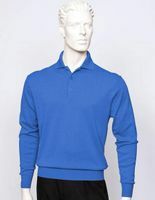 You simply won't find the unique style of sweaters we sell in any department stores because we favor offering our customers unique styles that have plenty of appeal with a different types of fancy fashion trim including suede and embroidery designs on them. Once you choose your sweaters, don't forget about your feet. Shop online for Stacy Adams Shoes at Contempo. 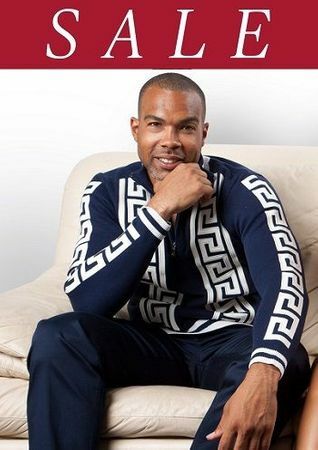 If you like unique looking head turning style sweaters, Royal Prestige is the brand you need to be seen wearing. 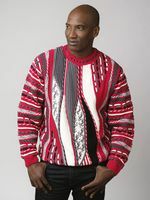 Royal Prestige specializes in high quality fashion design mens sweaters that look like nothing else on the Market. Featuring bold all over embroidered designs and patterns which set them apart. Enjoy fine silk knitwear when you shop for Tulliano sweaters and shirts. 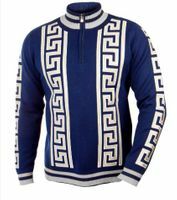 Tulliano makes all of their exquisite fine knitwear out of fine gauge silk and cotton knit for a fine sweater that you will love wearing and look great wearing.